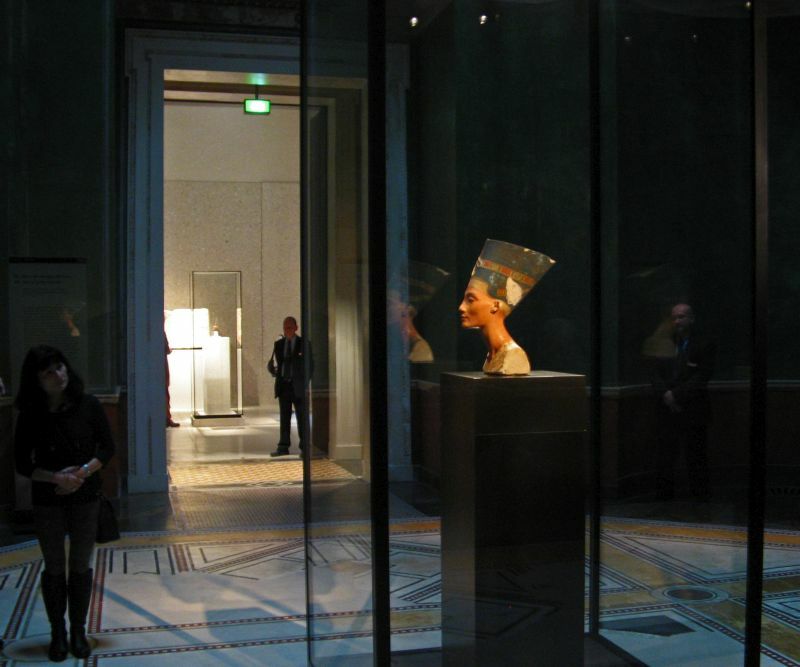 Neferneferuaten Nefertiti (ca. 1370 – ca. 1330 BC) was an Egyptian queen and the Great Royal Wife (chief consort) of Akhenaten, an Egyptian Pharaoh. Nefertiti and her husband were known for a religious revolution, in which they worshiped one god only, Aten, or the sun disc. Akhenaten and Nefertiti were responsible for the creation of a whole new religion which changed the ways of religion within Egypt. 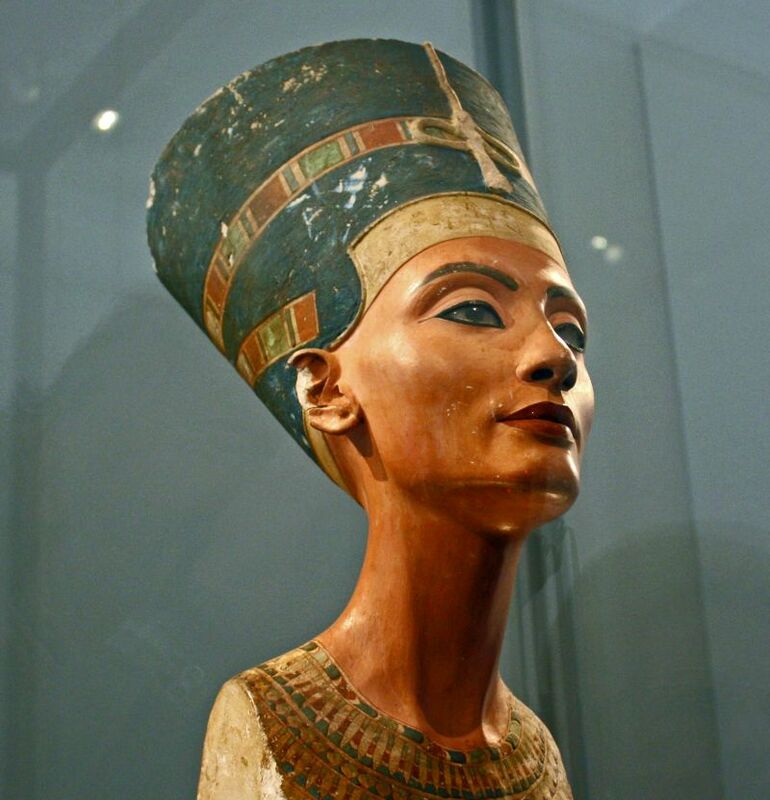 With her husband, she reigned at what was arguably the wealthiest period of Ancient Egyptian history. 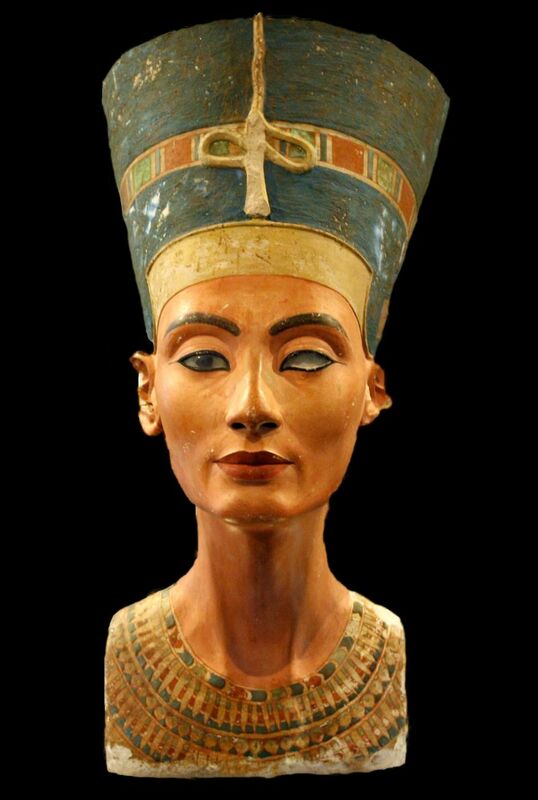 Some scholars believe that Nefertiti ruled briefly as Neferneferuaten after her husband’s death and before the accession of Tutankhamun, although this identification is a matter of ongoing debate. 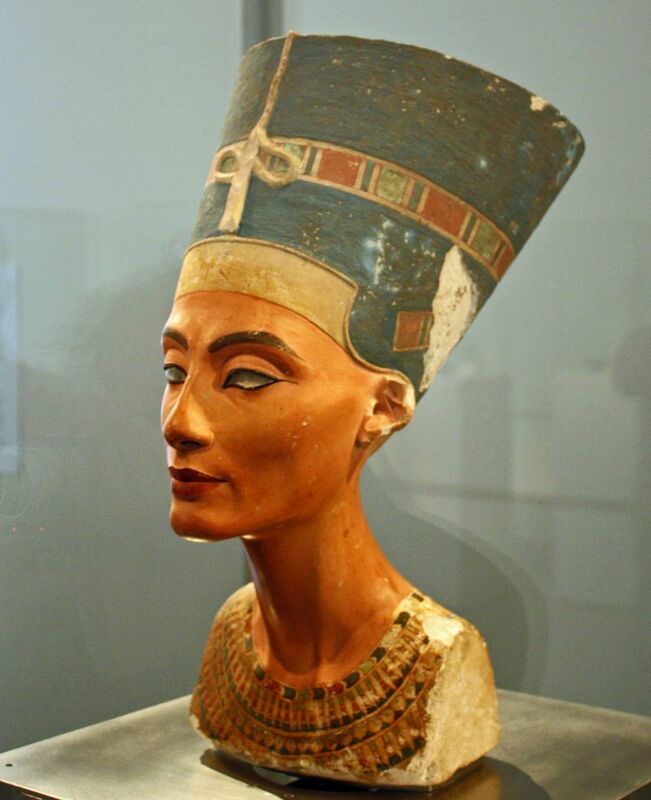 She was made famous by her bust, now in Berlin’s Neues Museum. The bust is one of the most copied works of ancient Egypt. It was attributed to the sculptor Thutmose, and it was found in his workshop. 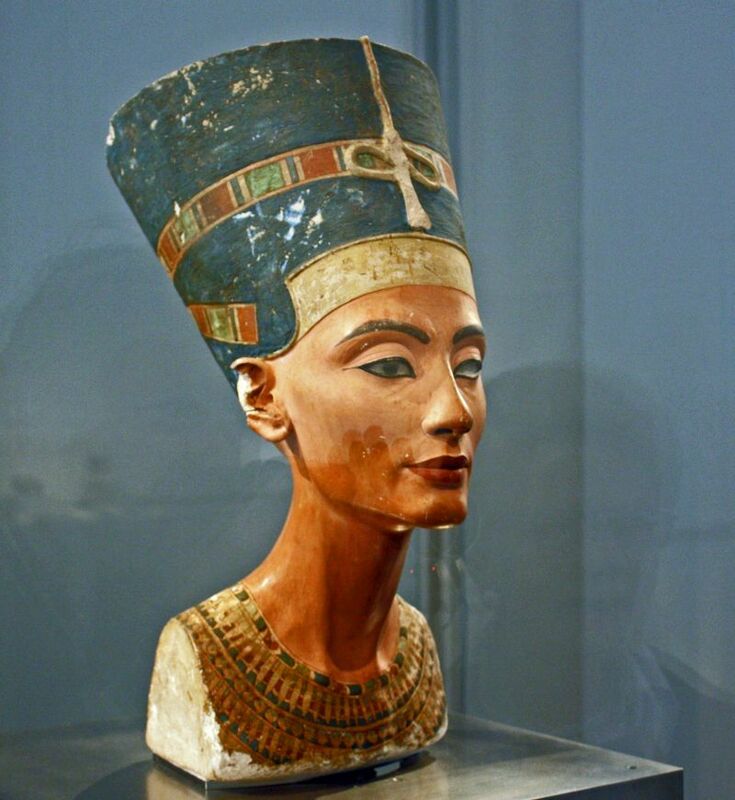 The bust is notable for exemplifying the understanding Ancient Egyptians had regarding realistic facial proportions.